Take your party to the next level with our mystery party experts in Boston. With three courses of cuisine, crime, and cocktails, you and your guests are guaranteed to have an unforgettable night! How to Throw a Mystery Party with The Murder Mystery Co.
Everything you need to have a personalized, unique crime scene for your next event! 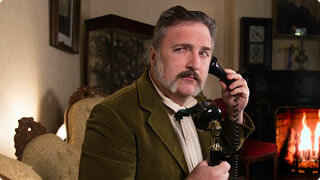 Give us the details.For your murder mystery party, we need some basic clues- When, where, and why? 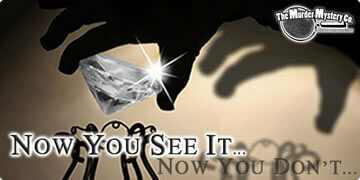 When are you having it, where do you want it to take place, and what is your motive for holding the event? That is all we need to get started preparing for your party! Choose your theme.We need to get a little personal. 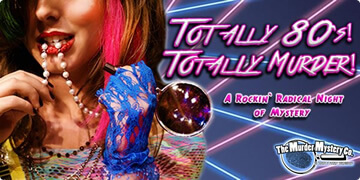 Are you the sort that would enjoy film noir, or 1980’s hair metal? 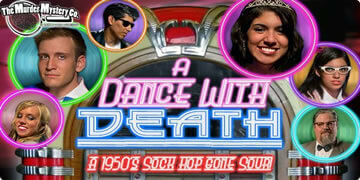 Would you like an awards banquet, or a 1950’s sock hop? No matter what your tastes tend towards, we have the perfect mystery party theme for you! Plan your party.Now that you’ve clued us in, it’s our turn to help! We have suggestions for you to use every step of the way! From decorations, to music choice, to costume tips and tricks, we can point you in the right direction. From this point out, it is going to be easy! Start Planning My Mystery Party! Tea parties are so last century. 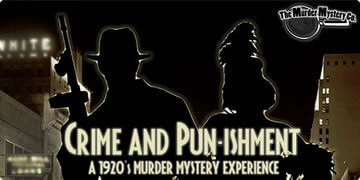 Try an exciting and new private event by The Murder Mystery Company in Boston! 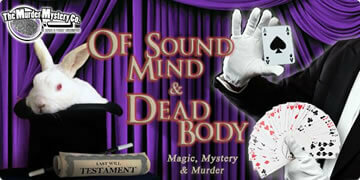 For your upcoming private event, we have the very best in mystery entertainment, right outside your door! Our mystery experts will bring two hours of mystery, intrigue, and murder to your home or chosen venue. Whether you’re planning a killer corporate event, plotting the perfect team building day, slaying a fundraiser or charity event, or sleuthing for the best birthday party idea, you’ve come to the right place! For an unforgettable experience, let The Murder Mystery Company in Boston take on your private event. Hosting a corporate event in Boston? Searching for innovative new entertainment to spice things up? 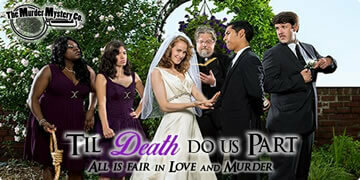 Well look no further, The Murder Mystery Company has the perfect option for you! Our professionally trained performers offer expert mystery entertainment for any corporate event you are hosting, in a variety of themes to match your event. Planning your corporate event is easy and stress free with us. We provide on call Crime Scene Planners to sort out every detail before the show, and you don’t have to worry about setup or teardown! We make it easy to host a killer corporate event that is unforgettable. Our mystery experts are also amazing at creating memorable and productive team building events! Your employees will work together in teams chosen by you to solve a mystery utilizing critical thinking skills and teamwork. Each team will have to work together to gather all the necessary clues and information to solve the crime. Each person will have the opportunity to observe each other in a non work environment that is fun and stress free to learn new ways to work together that can be applied later in the office! Instead of a boring motivational speaker or tedious trust exercises, try out a killer crime scene with The Murder Mystery Company in Boston. We don’t stop at corporate events and team building days though. We also offer the perfect entertainment for the fundraiser or charity event you are planning! Plot the perfect crime scene with our on call Crime Scene Planners, and you’re guaranteed an event that will meet your fundraiser or charity goal! You can pair you event with a catered meal, or promote it as a standalone event, either way, our mystery shows are so popular, the tickets practically sell themselves. 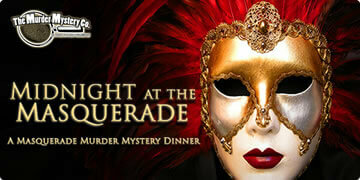 Slay your charity or fundraiser goal by teaming up with The Murder Mystery Company in Boston! Last but certainly not least, we also offer the best birthday packages around! Whether your birthday sleuth is super young, or just young at heart, we create a unique, one-of-a-kind crime scene right at your home or chosen venue for two hours of murder mystery birthday goodness your special birthday person will never forget! Our mystery experts also offer a murder free mystery birthday show, complete with a scavenger hunt for those detectives in training who might not be ready for the big leagues. 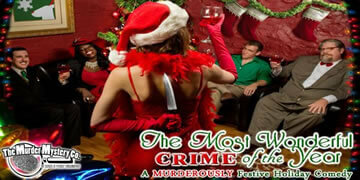 Celebrate the upcoming birthday in your life with The Murder Mystery Company in Boston!